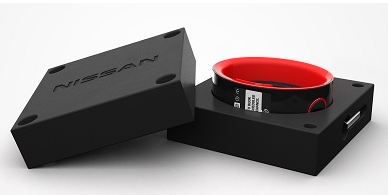 Nissan too has unveiled a Smartwatch called Nismo. This smartwatch will be optimized with Nissan luxury cars and will show you updates from your social networking sites like Facebook and twitter as well. 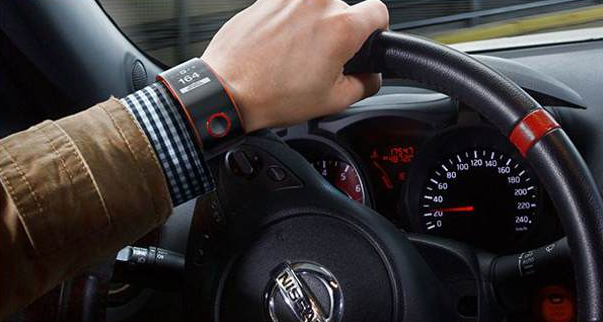 The Nissan Nismo smartwatch will provide you with basic data of your car like fuel level and will also monitor driving conditions. It can also monitor your heart rate data through a wireless monitor. It can connect to car via Bluetooth and get messages from Nisan for example it will warn you if you exceed speed limit or are driving on an icy road. Nissan expects take this to the next level by adding biometric features like EEG, ECG and Skin temperature to better monitor the condition of the driver and adjust various car features accordingly for a safer and comfortable experience. This will also help warn the driver when he gets too tired. This Watch will be connected to your car via Bluetooth using a smartphone app. The battery life is impressive and can hold for up to a week without charge. You can charge this watch with its MicroUSB port and operate it using. This watch will be displayed at Frankfurt motor show next month. It will be available in Black, white and combination of black and red. Recently many other smartwatches emerged like Samsung Galaxy Gear, Sony Smartwatch 2 and Qualcomm Toq smartwatch. Each of these offer a different flavor and looks like 2014 will most certainly be year of Smart watches. The features provided by Nissan Nismo would be beneficial in synchronizing your driving style with your car. This piece of technology is definitely exciting but still has a long way to go.